When city councillors vote to finalize the $4.66-billion procurement deal to expand light rail to Ottawa's suburbs, they'll do so without having seen the contracts. When city councillors vote to finalize the $4.66-billion procurement deal to expand light rail to Ottawa's suburbs on Wednesday, they'll make the decision without having seen the contracts. Instead, councillors will direct city manager Steve Kanellakos to negotiate with winning bidders East West Connectors and SNC-Lavalin on their behalf. However, with mounting concern about the original phase of the LRT project — news some councillors complain they heard first from CBC rather than from city staff — there's growing frustration about that lack of oversight. Coun. Diane Deans is demanding to see the contracts for herself. "We've been asking for it, and apparently the decision is they would parse out pieces of it that we specifically want to see, but they are not prepared to show the [entire] contract," Deans said. According to University of Ottawa law professor Stéphane Emard-Chabot, a former Ottawa city councillor, it's common practice for municipal politicians to set the parameters for large procurement deals, but let staff hammer out the nitty gritty details. Showing contracts to elected officials also heightens the risk of sensitive commercial information being leaked, Emard-Chabot said. "The fact that council is not seeing the wording of the contract itself is quite common," he said. "It might not mesh with what the public might expect, but that's the rule." 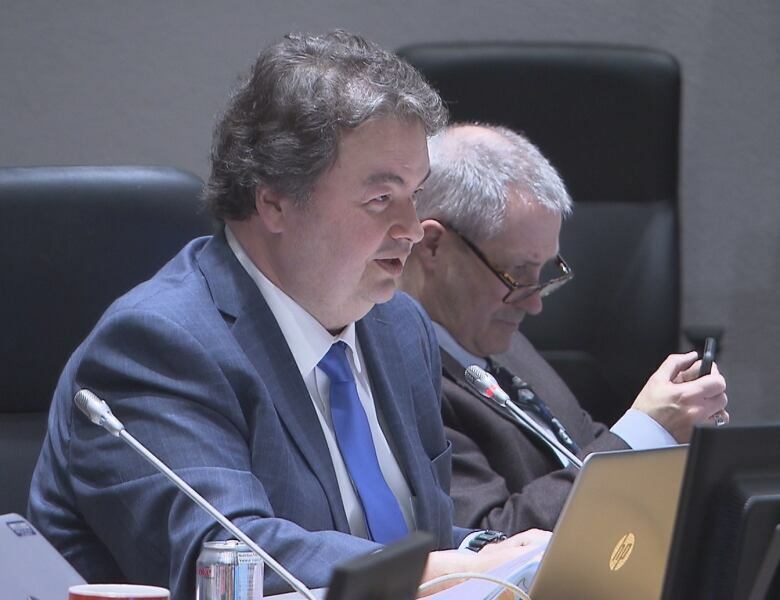 Another council veteran, Rick Chiarelli, said councillors who want to see the contracts would be forced to sign a nondisclosure agreement, placing them in a potential quandary. "It's unethical to sign an agreement not to tell the public something that's in their interest. I'm not going to do that," Chiarelli vowed. But even city treasurer Marian Simulik told councillors during their marathon session on Feb. 27 that she couldn't speak to the contracts because she hadn't seen the working copies. Chiarelli said he found that surprising, because Simulik had drawn up the long-range financial plan for Stage 2. "I thought for sure she would have been given that information," he said. Several councillors have expressed frustration over the tight turnaround time, especially since they only learned that the project had ballooned by more than $1.2 billion on Feb. 22, the day the winning bids were announced. "What would be asinine is to approve a $1.2-billion cost overrun without being able to question and test all of the elements of that. That is absolutely ridiculous," Chiarelli said. Chiarelli said he was forced to file a freedom of information request about the land deals related to Stage 1, but has been kept waiting a year. He's openly questioning whether councillors have enough information to make a decision about Stage 2. "The information we're getting comes to us first through the media, and then we get updates from staff based on what's been out in the media. And that's just not acceptable," Chiarelli said.